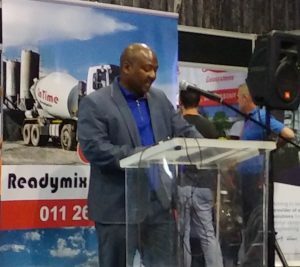 Address delivered at the KwaZulu-Natal Construction Conference and Trade EXPO, 23 February 2017. It costs money to employ experts to deal with the ever-present labour issues. Members of the ECA do not need to employ HR practitioners or industrial relations specialists. The association provides guidance and support to make junior practitioners fit the purpose. We have experts and experienced practitioners of human relations and Labour Law, including four people with law degrees in full-time employment. We have just concluded a five-year collective agreement with the union in the sector, which has never happened before. This agreement represents five years of labour and industrial peace, as well as commercial predictability for our members. We have negotiated social benefits including retirement, death, funeral and, should anyone suffer a disability, income replacement benefits for our workers. We are on the verge of acquiring accreditation for electric fence installations. This will enrich our members’ service offering as far as the security of premises is concerned. We have introduced a collective bargaining levy in the Collective Agreement of the Electrical Industry to widen the training reach. A significant part of this levy will be injected into the training of industry employees. We offer day as well as night classes for our members and their employees at preferentially low rates. Upon conclusion of their training, our students also receive assistance with their registration as registered persons in terms of the EIR. In areas where we do not have training centres, we work with commercial training centres to deliver commercially useful practitioners. We also train at management level and are putting together a management diploma that will be accredited by the South African Qualifications Authority (SAQA). This will comprise seven certificate courses, which we are in the process of compiling in line with the associated unit standards. We are looking to offer this diploma by correspondence. Our relationship with the construction SETA seeks to frustrate our efforts, but this is part of the territory and we continue to battle along. 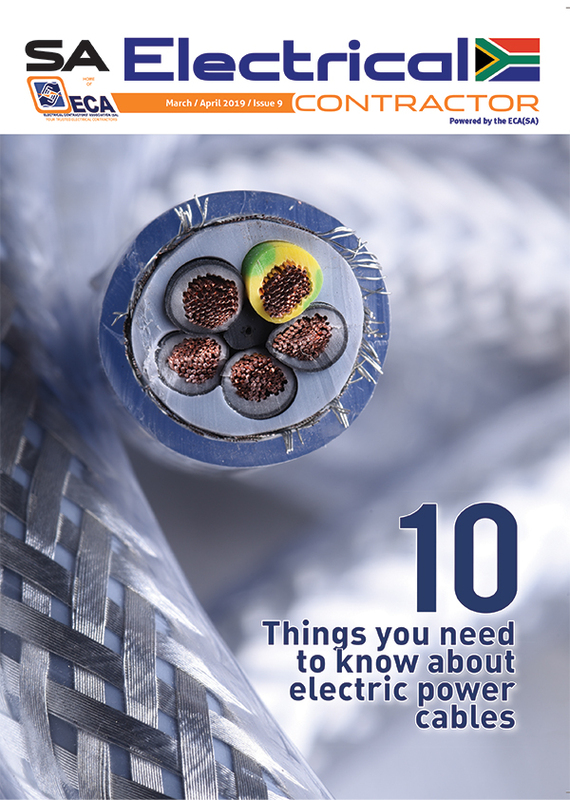 The enforcement of rights is one of the challenges of an electrical contracting business. Members are afraid to enforce their rights because the people with whom they deal are their clients. The fact is that you cannot look after client relationships and let your company sink in the process. Every contractual obligation and its associated right has some commercial implications. It is also costly to litigate to resolve a contractual dispute. We help to shape contractual documents to ensure fairness in the treatment of electrical contractors, who are often sub-contractors. We train our members to be aware of their rights and to protect themselves during the tendering, award, contract management and final completion stages. We fight on behalf of our members to recover funds from clients at no extra cost to the member. We deliver technical advice to our members, resulting in compliant installations. To this end, we actually provide a Workmanship Guarantee Scheme which our members can submit to their clients as part of tenders or quotations. The ECA guarantees members’ work up to R20 000 per contract, subject to the conditions specified in the Guarantee of Workmanship Scheme. This service is backed by a national and various regional technical committees. The best work by our members is celebrated at the annual ECA Presidential Excellence Awards. All ECA member companies participate in these events. 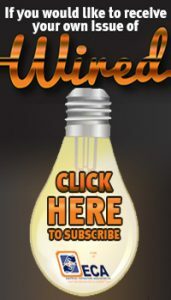 If you were to visit the ECA(SA) website, you would see images of the people at these functions and the joy of the contractors who have been named as finalists and winners. This year, we will launch the ECA(SA)’s online magazine at the Presidential Excellence Awards. Our communications manager, Erika van Zyl, is hard at work to ensure that the new publication will be smart, hard-hitting and cutting-edge. The launch issue will be a hard copy magazine and, thereafter, will be available online.